A World view on Netaji: Can this be true ? 1975: At (stooge) Indian Govt. 's invitation Foreign Minister of Vietnam came to India. He met Central Minister of Azad Hind Govt. and of Indian Independence League, Chairman, Debnath Das and ceremonially handed him over undivided India's Flag. This showed that the Vietnamese recognized only the Azad Hind Govt. as the legitimate govt. of the whole of Indian Sub-continent. 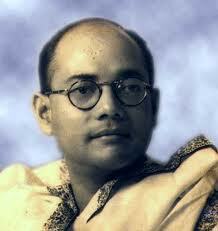 It was significant that it was from 1975 that Netaji's activities in India started in his presence.